As soon as we got home from booking the Perry House in Monterey for our wedding venue, we knew it was important to send out our Save the Date Cards. Not only did we choose a three-day weekend, but we also chose a three day holiday weekend only a little more than six months away! 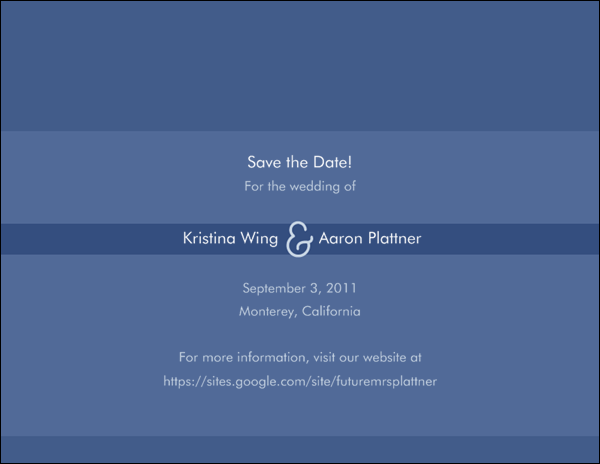 Since many friends and family members would need to travel for the event, I immediately began researching Save The Date cards on various websites. 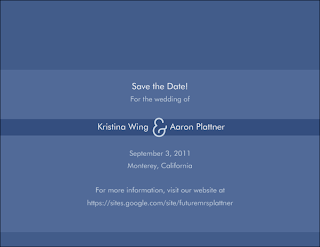 I saw many beautiful and wonderful Save-the-Date cards. My only gripe was that nearly everything I found that I liked was both (a) slightly (or a lot) more expensive than I was hoping for and (b) would take a great deal of time to get. With that being said, I decided to use another card as inspiration and make our own. 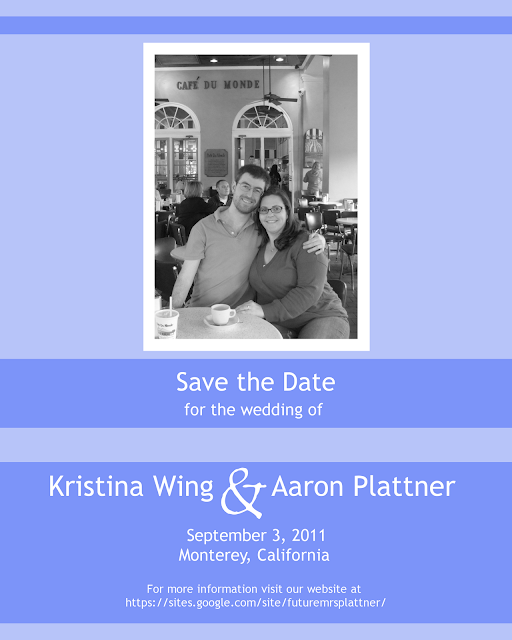 I found this Save The Date card at Vista Print and decided I could use it as my inspiration.